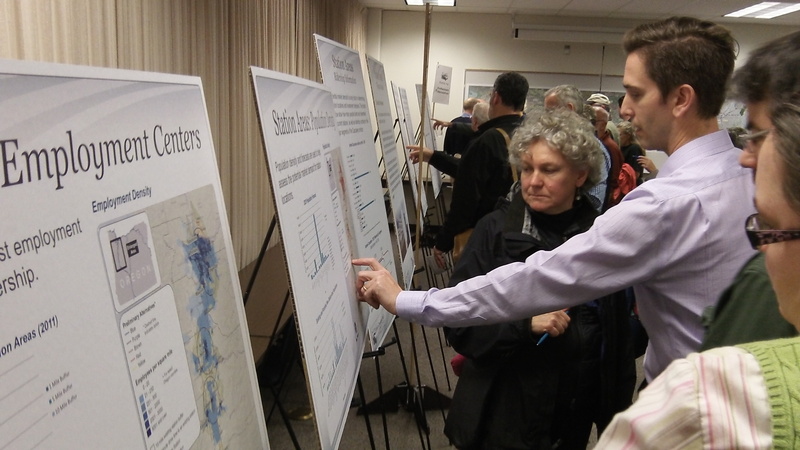 Maps and public input, part of the $10 million planning process. 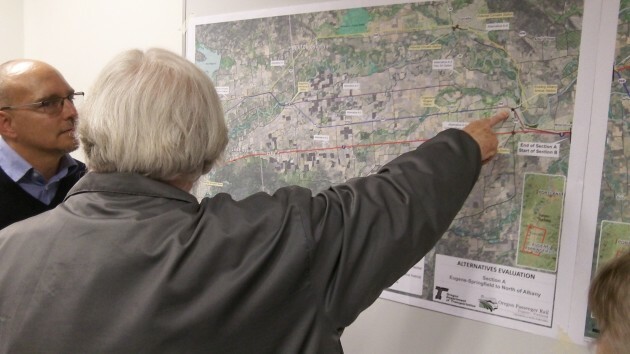 There are at least two ways of looking at the current $10 million planning effort for better passenger rail service in the Willamette Valley, between Eugene and Portland. One is hopeful and visionary, and the other is coldly realistic. Here is the realistic view. Trains, no matter how modern in the way they are built and run, are an extension of 19th century technology. That’s why some of us like them. You get on, sit down, read, look out the window or take a nap, and when your destination is reached you get off the train. What could be simpler? But most of us now traveling up and down the valley don’t start from or go to the same places. And no matter how lovely it is to sit on a train, even if it has Wi-Fi, your car is much more convenient for dozens of reasons. The main one is that usually you can go from your house directly to your final destination, make your own schedule and take with you whomever or whatever you need that fits in your car. This is why even in densely settled countries with excellent train connections like much of Europe, the motorways are busy and often jammed while the intercity trains run half-full much of the time.